SAVE OVER 50% and get the BIG ALPHABET ACTIVITY BOOK & CENTER BUNDLE which includes this resource and more! 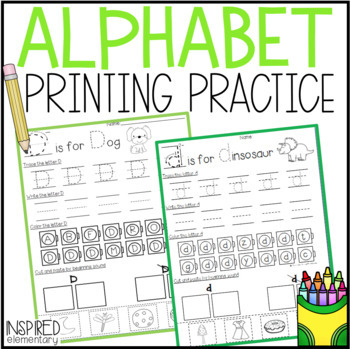 A-Z printing practice that is NO PREP for you! 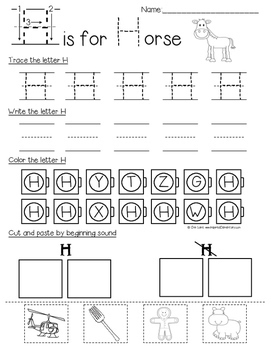 Let students have FUN while practicing writing their capital and lowercase letters! 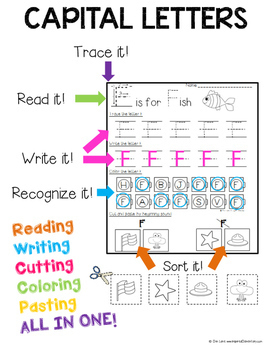 This interactive printing pack has students recognizing letters, tracing/writing them, and categorizing pictures based on the beginning letter sound. This printing pack is perfect for morning word work, or to use as an independent literacy center activity. 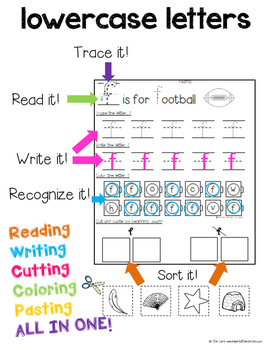 Students will use their reading, writing, cutting, pasting and coloring skills all on one activity sheet! 52 pages, capital letters A-Z and lowercase letters a-z are included in this pack! THE BIG ALPHABET ACTIVITY BOOK & CENTER BUNDLE! A-Z Alphabet Activity Book Bundle!